While firefighters across the country are aware of the standards and principles of the National Incident Management System (NIMS), the system is still relatively new when you consider the history of the fire service. Although NIMS informs incident management tactics today, the concept of a national set of standards for fire incident command is a fairly new development in the United States. 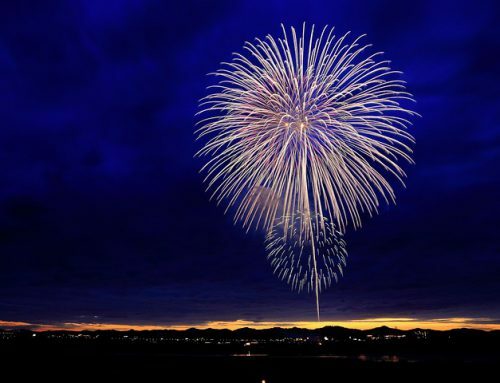 Even up until 20 years ago, many departments had their own standards and procedures for managing large-scale incidents. 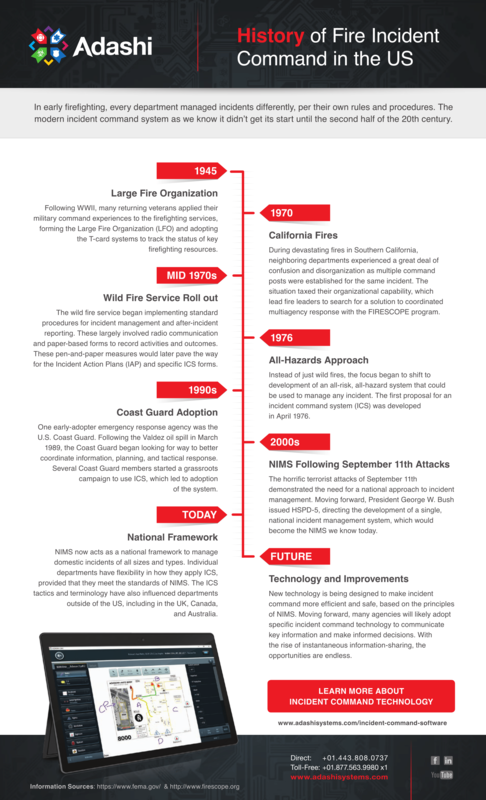 The following infographic describes how the Incident Command System (ICS) came about in the US, what led to its national adoption, and how public safety agencies implement ICS tactics today. 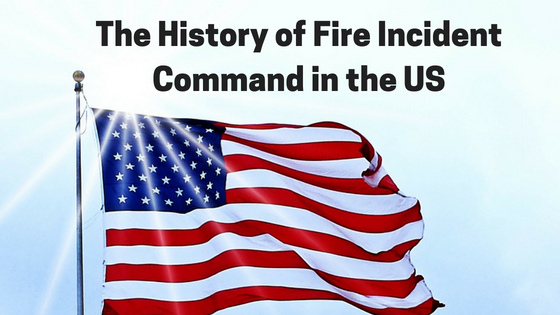 It is fascinating to look back on the history of incident command in the US and see how far we’ve come in the past 100 years. 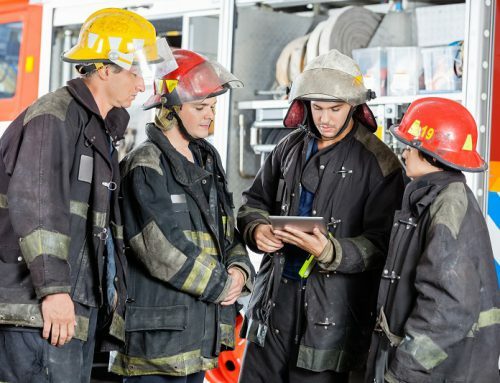 Already, many departments are using cutting-edge technology to make their incident management strategies as safe and effective as possible. 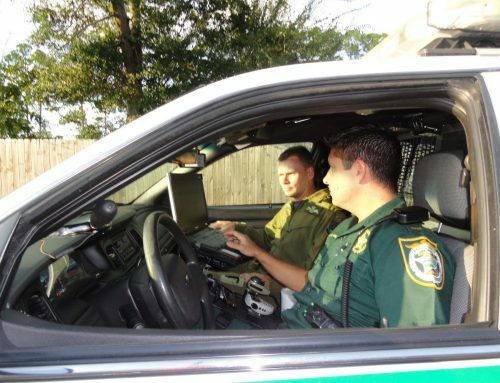 As public safety technology continues to grow and innovate, we look forward to seeing how incident command tactics will also shift to incorporate new capabilities and better protect the public. 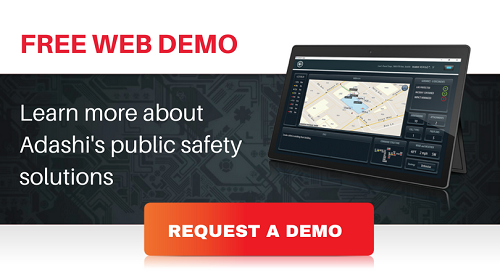 To learn about Adashi’s incident command software – Adashi C&C – feel free to request a free web demonstration or visit our C&C product page. 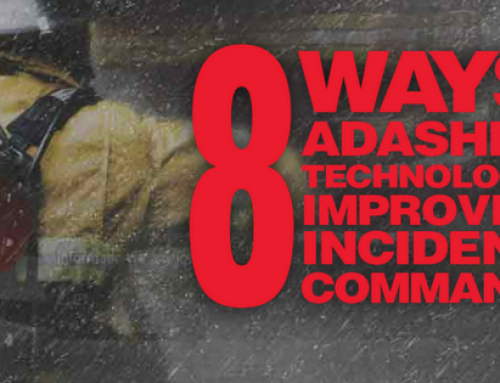 Adashi is a leading provider of technology to public safety agencies worldwide. What Can Drones Teach Us About Public Safety Technology?